The Barley Grass is grown and harvested with special methods to provide the optimum nutrient value and has a very high, readily absorbable, protein content of 30% to 37%. It is dried in an oxygen free low temperature environment for the ultimate potency and freshness. Typical use: one to two dessertspoons daily in water or juice. Sensitive individuals should start at a level teaspoon daily and gradually increase the amount. Add the powder to a glass then add in a small amount of cool liquid. Mix well with a fork to make a paste, then slowly add more liquid stirring constantly. Alternatively use a blender. Use within two months of opening to maintain the full potency of this product. We believe this is the highest quality and potency of any grass juice powder available. A 30 times concentrate of the fresh Barley Grass Juice. Approximately 6 times more concentrated than Barley Grass dried powder. Dried at low temperature in oxygen free environment of much higher nutrient/enzyme retention and vibrancy than other Barley grass juices powders and especially other dried Barley grass products. 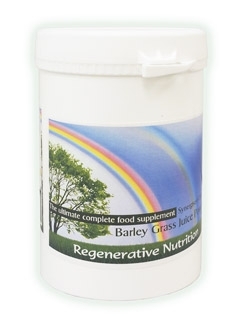 Regenerative Nutrition’s Synergised® Organic Barley Grass Juice Powder is one of nature’s most perfect superfoods, and unlike mixtures of superfoods it does not over-stimulate, so it is suitable for all, including those that have the most limited digestive capability and the oversensitive. A superior source of protein, it provides amino acids in proportions considered ideal for humans. It is also a rich source of essential nutrients, enzymes and chlorophyll. It contains water soluble vitamins and vitamin E as well as good amounts of Vitamin K, beta-carotine and lutein. It is grown in mineral-rich, certified organic soil that offers nearly all of the minerals and trace elements we need to be healthy. Barley and wheat grass juice have been used as tonics and natural energy sources for many years by people all over the world. Studies of its efficacy have noted its positive effects when used in anti-aging, anti-inflammatory, regeneration and cellular health therapies, and it is used in advanced healing clinics around the world. Many of Barley Grass Juices known cleansing and healing effects are due to its abundant chlorophyll. Chlorophyll-rich greens have long been used in restoration of health. The chemical structure of chlorophyll and hemoglobin are almost identical, with one exception: chlorophyll has magnesium at the centre of its molecule, and hemoglobin has iron. Chlorophylls ability to support the production of red blood cells is most likely due to this similarity. Scientists have also found chlorophyll to be a powerful, yet gentle, detoxifier. Synergized® Barley grass juice powders consistently have the highest chlorophyll of any of the grass juice powders. Synergised® Barley Grass Juice powder is tested for multiple enzymes, and they are bursting with bioactive enzymes including the very sensitive and rare enzyme SOD, these enzymes are the highly sensitive and highly complex proteins that start metabolic activities in our bodies, support our immune system, promote better circulation and detoxification, assist digestion, fight off free radicals and give us energy. While grasses in general are a remarkable source of nourishment, humans are not anatomically the same as cows or horses. Grazing animals have long digestive tracts, and in some cases multiple stomachs, to break down the indigestible cellulose fibers and release the nutrients in the grass. Unfortunately, humans cannot digest cellulose, nor can they digest fiber, so to benefit from all the natural nutrients in grass we need to consume grass juices, only grass juices contain easily bio-available nutrients. 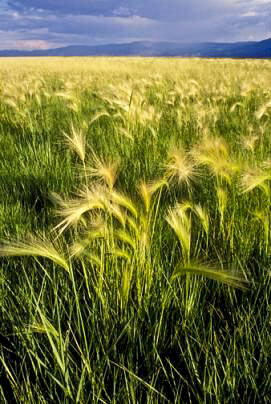 The environment in which grass grows determines its vitality. Synergy production Laboratories Organic Synergised® Grasses are sown in early spring and late autumn on their certified organic farms. After the grass shoots emerge, the plants focus their energy on developing a substantial root system. This well developed root system is crucial to the grasses nutrient density, as it allows the grass to pull minerals and trace elements up from the soil into its blades and to use them to manufacture valuable enzymes. The nutritional vibrancy of our grass is encouraged by supplementing the soil with rich organic vegetable compost and seaweed. When spring and early autumn arrive, the grass bursts to life and becomes a photosynthesis factory. The simple sugars created during photosynthesis are then converted to proteins, carbohydrates and fats by the enzymes and minerals the plant absorbs through its roots. Because temperatures are cool in the spring and autumn, the grass grows slowly enough for this conversion to occur before what is called the initial jointing stage of growth. At initial jointing stage, the nutrients and energy of the plant are redirected to seed formation. The Synergised® Barley grass is harvested just prior to this critical jointing phase, when the tender shoots are at the peak of their nutritional potency, enzymatic activity and chlorophyll content. Grasses grown in greenhouse trays simply cannot replicate the perfectly cultivated grasses grown as nature intended. Greenhouse grass doesn’t experience a natural dormant stage and thus doesn’t develop complex roots, and it is not grown in deep rich soil. Moreover because grass grows rapidly in a greenhouse, the simple sugars are not converted to complex nutrients. This is why grass juice at juice bars tastes sickeningly sweet. When the young grasses are ready for harvest from the organic farms, they are harvested in the early morning, when the dew is still on the blades, and taken to the organic and kosher processing facility just minutes away, where the freshly cut young grasses are immediately cooled and washed in a proprietary three stage process. After washing the barley grass is juiced at 35F or 1 to 2 degrees C to protect and preserve all the delicate enzymes, chlorophyll and other nutrients. Unlike any other grass juices, the Synergised® grass juices powders are processed by using an exclusive CO2 cold temperature juicing and drying process, during which they are completely protected from oxygen and heat. The Barley juice powder is then immediately hermetically sealed into vacuum packed oxygen barrier bags and placed in cold storage with all the bio-activity intact. On average 30 kilograms of the barley grass juice is concentrated down to one kilo gram of the synergised® organic barley grass juice powder. 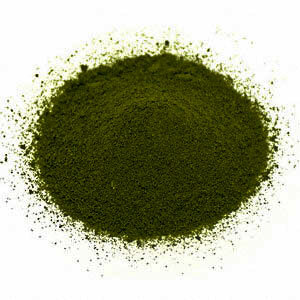 Unfortunately, nearly all other grass juice powders on the market are devoid of many of the health supporting benefits, as they are processed and dried by using standard methods, including spray drying, which damage and denature the enzymes, chlorophyll and nutrients with their high heat and oxygen exposure, and grass juice powder is often diluted with maltadextrins and other non-nutritive fillers. SPL spent 5 years researching and developing its proprietary CO2 cold temperature juicing and drying process in order to offer its exclusive line of premium certified organic and Kosher Synergised grass juice powders. It is only with this special juicing and extremely gentle low temperature drying process, which fully releases and protects all of the precious plant-cell nutrients in the grasses, that all of these unique, health-promoting plant-cell phyto-chemicals can be kept in their entirely natural state for absorption into our bodies. The result is an extraordinary Barley grass juice powder that is bursting with nutrition and energy. Synergised® Barley grass juice powder has a clean, mild taste, is completely soluble in liquids and contains no carriers. It is ideal for a broad range of applications, including powdered drink mixes. Synergised® Barley grass juice powder is beyond compare and brings you the extraordinary vitality of fresh Barley grass juice in powdered form. Benefits pregnant and lactating women. Synergised® Barley grass juice powder also contains concentrated amounts of virtually all the minerals and vitamins required, in fact it is a complete food and will support life as a sole item of food. However, as minerals deficiency has been so widespread for a considerable period of time the addition of some high quality sea weed, such as our Seagreens for additional iodine and polysaccarides, and Celtic Ocean Sea Salt and/or Mag Sea Ionics would tend to produce more efficient regeneration. Also due to our toxic environment and pre-existing health problems, respiratory enzymes in Zell Immunocomplex also have there role along side Barley Grass Juice. From our range of around 80 products these above products are some of the most important. The human system requires many nutrients to achieve well being, probably over 100, the bulk of which need to be food state and enzyme rich. We have specialized in the study of broad-spectrum, mainly food state supplements since 1994 and it has taken us years to understand these issues with clarity and obtain the right supplements to fulfil the needs of optimum nutrition. Daily consumption of Barley Grass Juice Powder will help provide your body with essential nutrients that promote health and vitality. After taking powdered barley grass juice daily for as little as one week, many people report an increase in energy, better looking hair, skin, and nails, and increased bowel regularity - all signs of good nutrition. "the leaves of cereal grasses provide the nearest thing to perfect food that this planet offers". plus 50 other trace minerals in a balanced food state form that your body can utilise effectively. 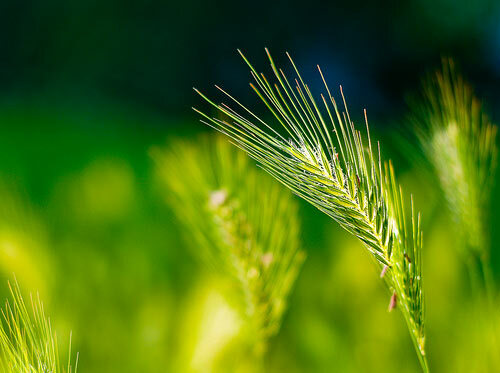 Many amino acids, the building blocks of proteins, and numerous enzymes are found in powdered barley grass juice. An analysis of the enzymes present in fresh barley grass is almost identical to that analysed in the dried powdered barley grass juice. Also the smell of fresh barley grass juice is almost identical to the smell of dried powdered barley grass juice added to water to re-hydrate it. Making this product a living, potent, super concentrated superfood. Ordinary dried barley grass is approximately a five times concentrate of the fresh grass whereas Synergised® barley grass Juice Powder is approximately a 30 times concentrate; therefore one teaspoon of dried powdered barley grass juice is approximately equivalent to six teaspoons of the dried barley grass powder. This is because the low nutrient, hard to digest cellulose (what is left behind and discarded when we juice wheat or barley grass) is not incorporated in the dried powdered barley grass juice. Dissolve 1 to 2 heaped teaspoons in a glass of water or your favourite juice. Do not take with hot liquids since heat will neutralize active enzymes. Recommended once or preferably, twice daily on an empty stomach. Keep tightly closed after opening and store in a cool, dry place. Sensitive individuals to start at a lower amount e.g. half a teaspoon daily and gradually increase working up to the full recommended amount at their own pace. Another reason for starting at lower doses is to reduce the amount of detoxification that often occurs when the cells begin to function in a more alive and active way, due to the sudden inclusion of valuable missing nutrients. For example, starting at half a teaspoon a day and gradually rising can reduce the degree of discomfort or other forms of detoxification such as head cold, or mild flu like symptoms, mild head aches, old disorders returning briefly as they are properly pushed out of the system, and sometimes poor sleep. All of these symptoms are temporary and part of the normal adaptation response. About one in five people have quite rapid and strong detoxification of one kind or another (even nausea). In these instances, subsequent reactions are progressively minor. Sometimes one has to pass through the door of discomfort on the way to liberation to better health and well-being. Seriously ill individuals are generally advised to work up to the full recommended dose fairly quickly. These considerations apply to all superfoods and in fact any nutritional therapy that is going to be effective. See The Healing Process article and associated links within that article for a discussion of remedy adaptation. Researchers at such leading universities as the University of California at Davis and George Washington University have found that barley grass juice contains the potent antioxidants superoxide dismutase, 2'-O-glycosylisovitexin (2'-O-GIV) and vitamin E succinate. Each of these important phytochemicals have been shown to help prevent lipid peroxidation caused by free radicals. Powdered Barley Grass Juice is also rich in chlorophyll, which gives barley and many other vegetables their rich green colour. Chlorophyll has been shown to have detoxifying, anti-inflammatory, deodorizing, and antibacterial benefits. In the 1930's scientists were analysing all the nutrients needed for health, this spurned research into cereal grasses as possibly the most potent and concentrated sources of naturally occurring vitamins and minerals, as well as many other unidentified factors. Dehydrated Barley grasses in the form of tablets were given as nutritional supplements, long before vitamins and minerals were given as refined supplements over the counter as they are today. Now it seems we have turned full circle, and even though we still do not know all of the ingredients of barley grass, our increased knowledge leads to the conclusion that nature knows best. The therapeutic and health normalising effects of a superfood such as green barley juice is far in advance of artificially synthesised vitamin and mineral tablets. Barley grass has many health benefits - an excellent source of beta carotene, folic acid, vitamin K, iron, calcium, easily assailable protein, vitamin C, and many of the B vitamins including vitamin B12. Cereal grasses help the growth of beneficial bacteria (1948). Japanese scientists isolated a isoflavonoid from green barley, having strong anti-oxidant properties especially concerning lipid peroxidation. A flavanoid called 2-0-GIV was found to have further anti-oxidant properties as well as calming allergies and inflammation (Shibamato et al 1994). Pituitary growth hormone is rapidly gaining a reputation as being a powerful anti-aging 'tool' and promoting healing in the body (there can be some risk with taking high doses of the hormone) but taking a growth hormone precursor, as has been discovered in green barley can only help promote overall health. Many more studies over 70 years have proved some of the benefits of regular consumption of green barley, and our experience has also shown this to be an exceptionally rich food. See also the article Healing With Whole Foods by Paul Pitchford which further discusses the therapeutic properties of wheat and barley grass.